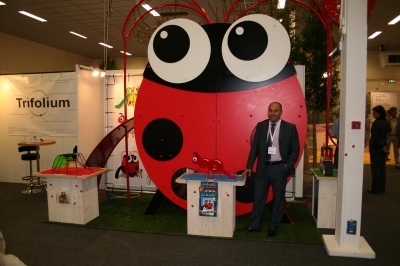 Equipamientos Para Entorno Urbano, has been in DAG VAN DE OPENBARE RUIMTE with their commercial partner for HollandBelguim, Triple A Playgrounds BV, as exhibitors. This exhibition is considered the second most important for our sector with 400 companies, 4500 institutionalprivate visitors for 10th11th october 2012. The “Bichos” has been considered one of the most interesting products in all exhibition, the organization confirmed.